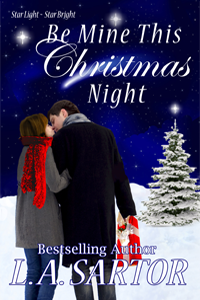 At Christmas, finding love and a family seems even more possible…unless you're keeping a secret. Cole Evans is a brilliant scientist but finds fatherhood a challenge. When his son develops a bond with their enchanting neighbor, the boy’s favorite author, Cole discovers just how much he's lost—and how much he needs. The clock strikes midnight and a new year begins…will this one bring love to heal a disbelieving heart? Hi Kayelle, it's so lovely to be here again. And thanks for the kudos. These books along with book #3 (which I have showcased in an ad on your page, thank you) have made #1 Amazon bestseller. And have won the International Digital Award, all of which blows me away. I hope your readers love them, because writing them was such a joy. And I have some news I'll share in a bit. Hey Kayelle, Quick question, where is my ad? Can I find a link and post it here as well?